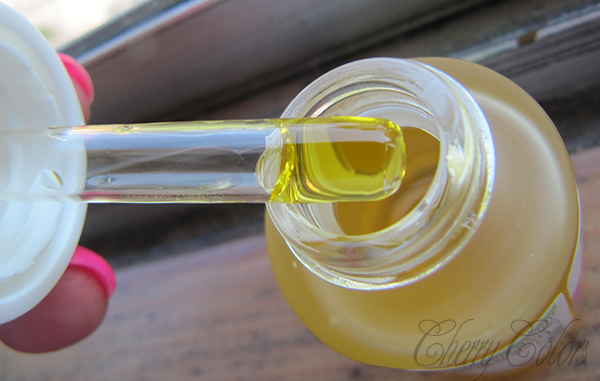 Review: Alverde wildrose oil - Cherry Colors - Cosmetics Heaven! 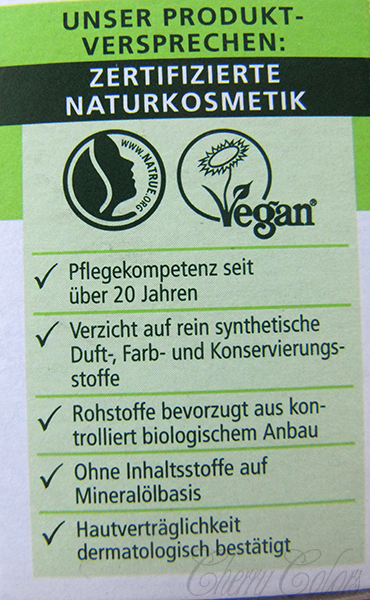 It is a product I picked up just because I had the chance to try it at home first (hello sister's stash, ahem). 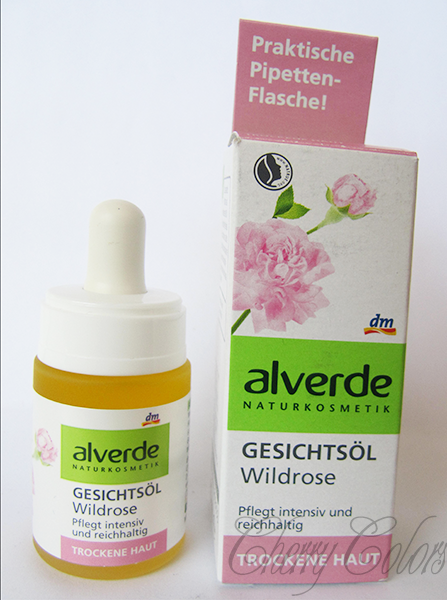 It is the Alverde wild rose oil. It has a scent, and quite a powerful one. If you have never had the pleasure of smelling rose oil, well this one smells exactly like that. Pleasant, but at first it may be a bit overpowering. I like that it comes at an affordable price and is available in every DM (DrogerieMarkt). It is priced at ~3€. YES, THREE EUROS! Hell yes! I use it every night before going to sleep and sometimes ever during the day (if I won't be using makeup in an hour or two, because well. it is an oil and my MU is water based). It helped regenerate my dehydrated skin and even when my skin got back to normal I loved it. Very hydrating and my skin looks healthier whenever I use it. It is great for those dry patches on the skin. 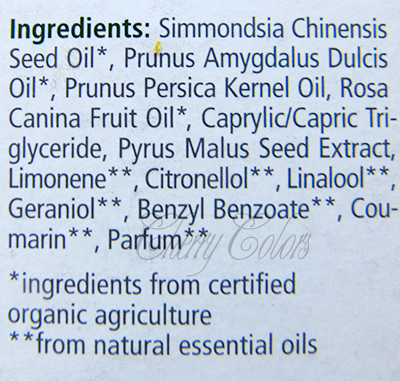 I was using oils before (jojoba oil), so this one wasn't too different from my regular jojoba oil. Except it was a bit more rose-oriented. I love it nonetheless! The packaging is travel-friendly. I used two of these babies up for two months and now I keep my regular jojoba oil in the packaging. I love the pipette and how easy it is to control the amount needed. It is simple; when my skin is happy - I am happy. And this little organic gem surely does help with that. + Is super cheap at ~3€! + Oh, did I mention travel-friendly? - I can't think of any. Maybe if you aren't a rose scent fan, you have to get over the scent. It is a bit strong. I was impressed with this little product and can't wait to use it again in the colder months. It really made my skin looking healthier (I had a glow, and an oily one ain't one!) and I smelled divine. It also sinks into the skin pretty quickly (about 10 min wait time) and if you don't overdo it, there is no oil left on the skin. Of course, if you have it as an overnight thing, don't worry about it. I love love love it! Also a bonus - it works great on cuticles too! This is definitely one of the products I will keep repurchasing. My only wish is that they would start selling them in bigger packages. You know, like double the product you get now for such enthusiasts about it, like me ;).